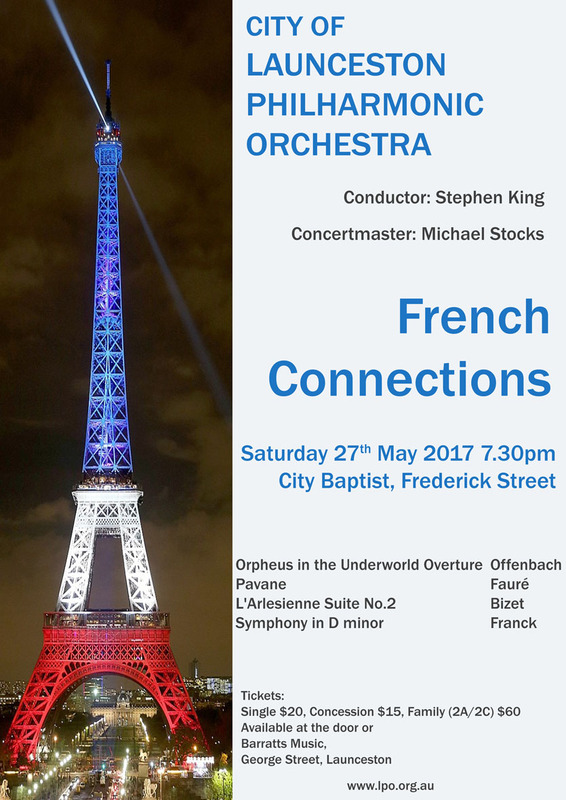 The LPO’s first performance for 2017 features a program of all French music. Commencing with Offenbach’s fabulous overture to Orpheus in the Underworld, Faure’s beautiful Pavane and Bizet’s joyous L’Arlésienne Suite No.2 we know you will thoroughly enjoy the well-known melodies. The concert concludes with Franck’s masterful Symphony in D minor. Get you tickets early for what is going to be a wonderful concert.